In recognizing the visible reality of the Church, the Pope acknowledges that it includes the hierarchy—the Pope, Bishops, Priests—but also challenges the faithful to remember they are the Church when he proclaims, “We are all the Church! 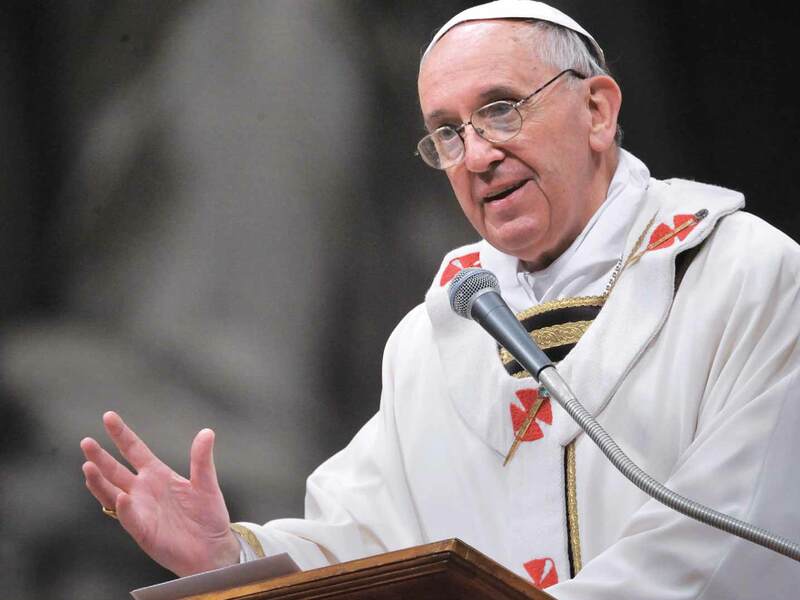 All of us all of us Baptized!” In his emphasis, the Holy Father urges us all to remember our place in the Church as baptized Christians, called to live out our vocation. This is, no doubt, a difficult task but it is important, especially in these days of confusion. It’s a call that has become a pious platitude to say that the laity must step up and play an active role in the Church. However, this is part of our vocation to see that faith lived out in everyday life and to assure that our traditions are passed on. We are able to see this play out in the most extreme situations of the hidden Christians of Japan or the underground Church of Ireland where seeing a priest, much less a bishop, was rare, and the laity had to live out their faith with courage. In our own time and place, this is still true. This challenge can be hard and may require some creativity. What can we do to be more active in our faith? How can we also help our parish, diocese, fellow Catholics, and our neighbors to bring all to Christ? We can start small by remembering St. Paul’s words that we are “ambassadors for Christ” (2Cor 5:20), and that for many we may be the first glimpse of what it means to be Catholic. Pope Francis notes that sometimes people see our bad example and are turned away from the faith. Perhaps we are pious in Church but find ourselves gossiping or being rude to a waiter. It may seem small, but these moments when we want to lash out are moments to practice Christian patience. We all have sins we struggle with, but it is important that we are constantly learning our faith and how to best live it, especially to those who watch our example. In his final words, the Pope asks us to pray for the gift of faith so that, “we can understand how, despite our smallness and our poverty, the Lord has really made us a means of grace and a visible sing of His love for all mankind.” While it is possible to become a source of scandal, we also have the ability, through Christ’s grace, to live out our vocation and strengthen our visible Church while being a source of hope for the world. Michael Lichens is an editor at Catholic Exchange.